Prince Harry kissed his girlfriend, Meghan Markle, after she cheered him on at a charity polo match, on Sunday, May 7. 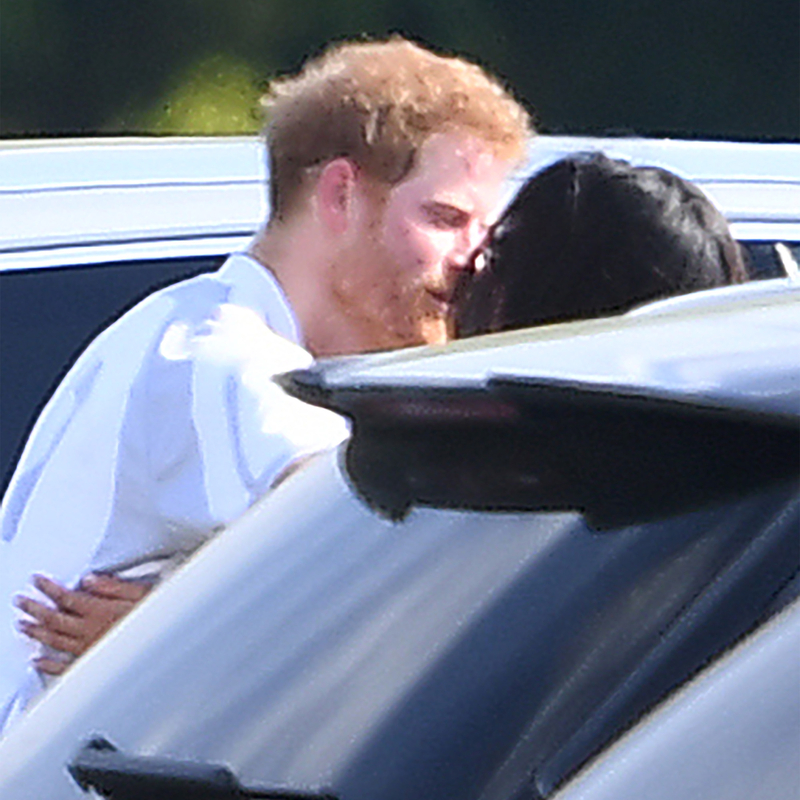 The Suits star, 35, was spotted with her hand on Harry’s side as he leaned in for a sweet smooch a day after she watched him play in the Audi Polo Challenge at Coworth Park Polo Club in Ascot, England. The pair also shared a loving embrace at the match, which was the first time they have been present at a public event together. During the match on Saturday, May 6, which was in support of two of the prince’s charities, Sentebale and WellChild, Markle could be seen standing in the royal box as she clapped and cheered for Harry. Her sighting at the game has royal watchers speculating that things are getting even more serious between the couple, who began dating last summer. As Us Weekly previously reported, Markle is set to attend Pippa Middleton’s wedding on May 20, and an insider told Us last month that the Los Angeles-born actress has developed a close bond with Harry’s brother, Prince William, and sister-in-law, Duchess Kate. Markle, who is a dedicated philanthropist, and Harry, 32, seem to be well matched, and the former bad boy appears to have settled down and put his wild ways behind him.